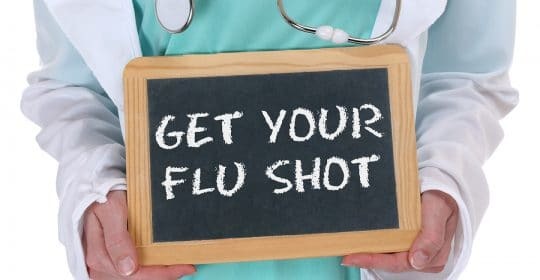 According to the CDC, the annual direct costs, such as hospital and doctor’s office visits, medications of influenza (flu) in the United States are an estimated $4.6 billion. The flu causes U.S. employees to miss approximately 17 million workdays due to flu, at an estimated $7 billion a year in sick days and lost productivity. To lessen flu risks at work, the flu vaccination is your best option. Even though it will not guarantee you will not get the flu, but it may make your illness milder if you do get sick.